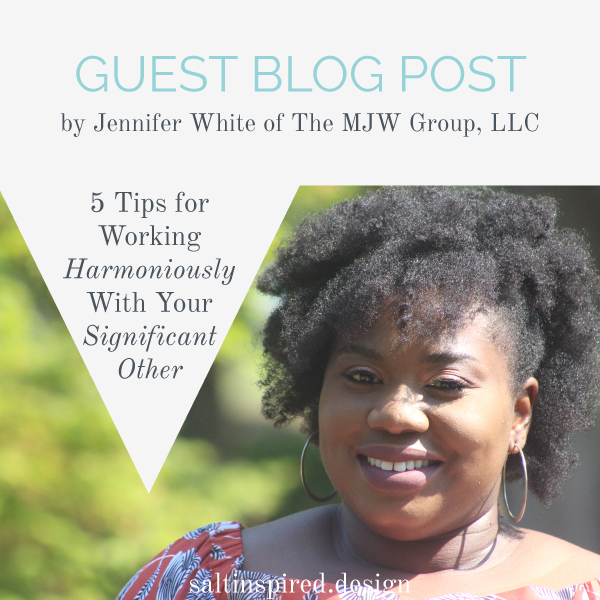 We’re excited to introduce our first guest contributor, Jennifer White of The MJW Group, LLC. 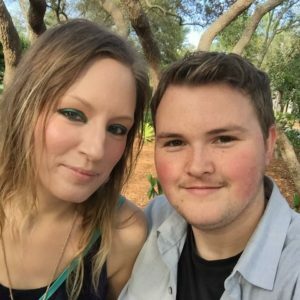 Jennifer and her husband have been together for 11 years and decided to start their business together earlier this year. She shares tips below for having a good working relationship with your significant other. 1. Ask your significant other for their input consistently. I feel this is the most important tip because you’re in business together. You must learn to communicate effectively in order to live in harmony. You may each have your own roles to play, but I seriously advise you to keep your significant other included. If you don’t, they may feel as though you don’t trust their input. Always take the time to make them feel valued by asking for their feedback. 2. Talk through unresolved issues daily. At the end of each day, it is important to discuss any lagging issues that may have arisen. Talk to each other and don’t be afraid to bring up the “uncomfortable” issues. One thing I’ve learned is not to assume that your significant other knows what you want or need. Be open and honest with your requests and also write things down; a journal or notepad is a big help here. Documentation is key to referencing previous conversations, but also to keep each other accountable and aligned. 3. Set goals together every week. That’s just to name a few to get you started. It always helps to identify similar goals you both may have so you can work on them together. Are you two working from 9a-9p, 5 days a week? Houston, we have a problem! As business owners, it is so easy to rack up hours every week and not have anything to show for it. There are times where you have to focus on the back end of your business so the front end can prosper. I get it and am totally guilty of working long hours without frequent breaks. Your business is part of your life. You created, developed, and nurtured it to where it is now. Make sure you both give yourselves time to breathe and recalibrate. I repeat, enjoy every experience. You started this business together for a reason and you only have each other to depend on. Some days are great while the other days are WTF! There is nothing too big that you both can’t handle. Learn from each other and work on complimenting each other. I’ve learned that my husband excels at speaking while that’s not my strong suit. I perform well with organization and numbers, so I don’t mind putting together a thorough report for him to present. Lean on every experience and identify the positives from it. There you have it. 5 tips for working harmoniously with your significant other. Try utilizing these tips and take a different approach to your work life. Your mind will open up and you’ll see your significant other in a different light. Don’t rush the process… you’ll find that right blend in no time. P.S. I would love to hear from you. If you need help with creating an infrastructure with the way you work with your significant other, please contact me. I help small business owners and entrepreneurs take their businesses to the next level. I show them how to incorporate their core values into their metrics to increase productivity, visibility, and overall performance. Click here to get started! We’re going to be featuring other business owners once a month, so stay tuned for the next post in the series.